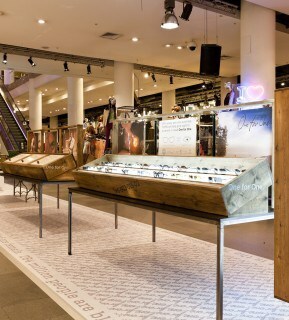 Having worked with Toms for the past year on various footwear projects we were delighted to help Toms with their latest retail launch for sunglasses. 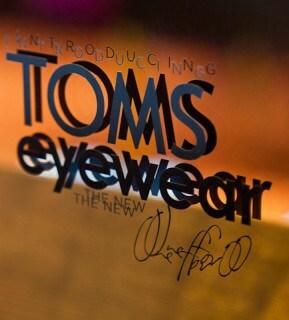 Using the same ‘one for one’ mission statement where previously for every pair of shoes purchased Toms give a new pair of shoes to a person in need this launch for sunglasses ensures for every pair purchased corrective eye treatments are given to people in need in under-developed countries. This launch is currently taking place in Selfridges Oxford Street and Manchester Exchange Square and we have designed and developed pop-up-shops which provide a unique brand experience within a cool environment incorporating both product and storytelling through interactive elements within the space. 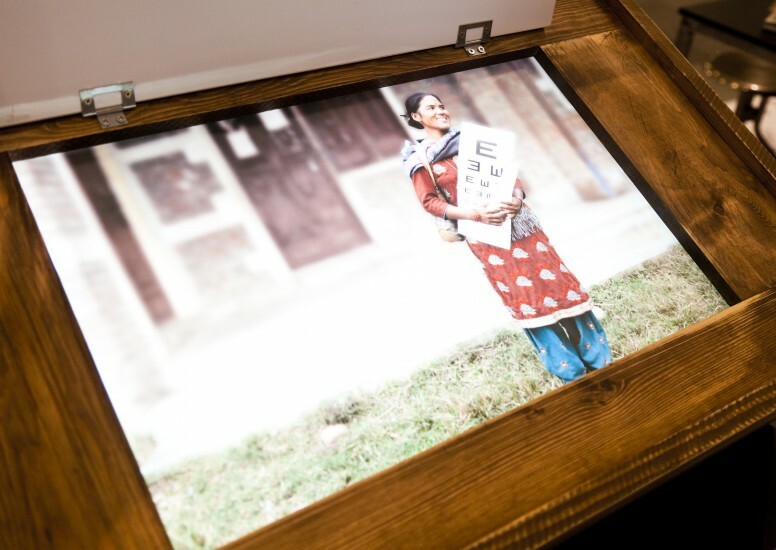 The 'one for one' mission statement remains paramount to the pop-up shop and consumers are encouraged to learn about the brand's ethos and work in underdeveloped countries before they try on the product. Through clever displays, we have highlighted the different eye conditions and how this affects vision and the outcome when treatment is given. The pop-up-shop will remain in store throughout March and most of April so get down to these events and get your glasses in time for summer knowing you will be helping save someone's sight!